Last Friday I decided to make dinner for a number of friends. I'm always excited for the project and daunted by menu selection. Are the flavors too similar? Is there enough protein? Is there something fresh to balance the heavy? My head spins. Will everyone even like what I'm choosing?? I was even embarrassingly caught in my Whole Foods by a friend as I popped grapes in my mouth and stared with bewilderment at all of the root vegetables. Alas, it is late fall: meal should be warm. It is a Friday night: wine will be included so meal doesn't need to be huge. I've been keeping up with my food blogs and Smitten Kitchen's baked chicken meatballs were looking reeeallly tasty. And I don't think I'd had a meatball in over 10 years. Literally. One of my favorite parts of these food blogs is everyone is using everyone elses recipes, and you can see the slow evolutions. I read some that are like "I got it from her, who got it from him, who got it from her..." And you known no two times is exactly alike. Culinary whisper down the lane if you will, or my favorite game to play in the rec hall at camp -- association. So these couldn't have been more simple or more flavorful--extra paste, no sauce, no red meat. I highly recommend. 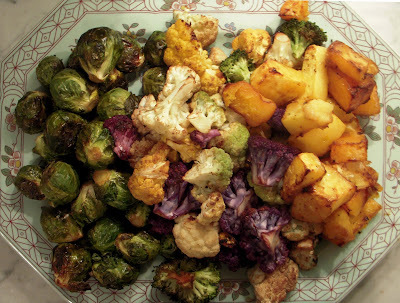 I served them with the hodge-podge of roasted veggies you see below (all my favorites -- brussell sprouts, cauliflower, butternut squash), french bread, and a very simple salad. Two serious thumbs up if I do say so myself. Preheat oven to 400°F with a racks the upper thirds. Soak bread in milk in a small bowl until softened, about four minutes. 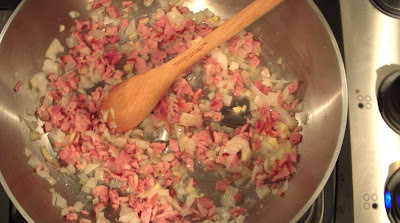 Cook pancetta, onion, and garlic in one tablespoon oil with 1/2 teaspoon each of salt and pepper in a large skillet over medium heat until onion is softened, about 6 minutes. (Alternately, as in “I thought of this after the fact”, I’d bet you could render the pancetta for a couple minutes and cook the onions and garlic in that fat, rather than olive oil.) Cool slightly. 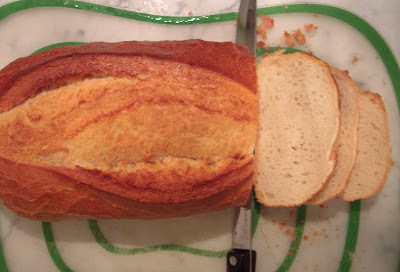 Squeeze bread to remove excess milk, then discard milk. 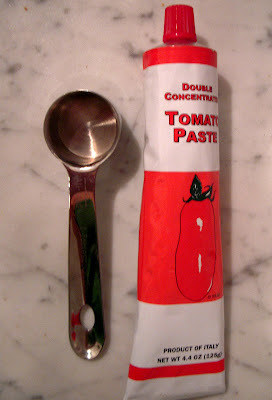 Lightly beat egg in a large bowl, then combine with chicken, 1 tablespoon tomato paste, pancetta mixture, bread, and parsley. 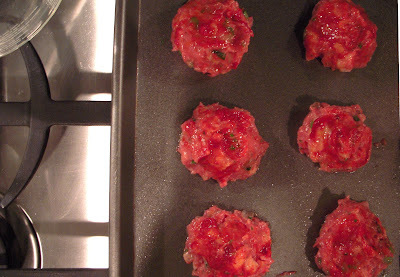 Form 12 meatballs and arrange in another 4-sided sheet pan (I used a 9×13 roasting dish). Stir together remaining tablespoons of tomato paste and oil and brush over meatballs (the paste/oil does not mix in any cohesive manner, but just smoosh it on and run with it) , then bake in upper third of oven until meatballs are just cooked through, 15 to 20 minutes (though mine took a good 5 minutes longer). YUM!!!! How can I get invited to your next thoroughly thoughtful meal?! ps - I die for meatballs.